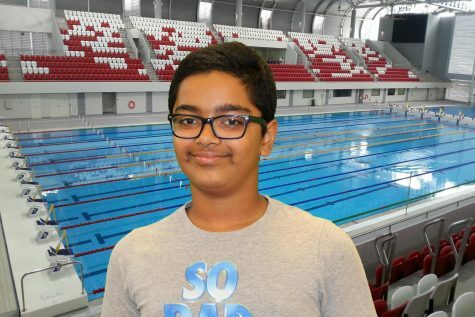 Keshav Laxminarasimhan is an 8th grader who wants to be an Olympic swimmer when he grows up. He is currently 13 years old and he wants to go to the Junior Olympics before 16 years of age. Today his hobbies are karate as he is a 3rd degree black belt,Guitar and drums.He wants to go to Stanford for college and get a doctorate degree. He loves Sharks he has even swam with sharks before. Overall a great person on Canyon Echoes!